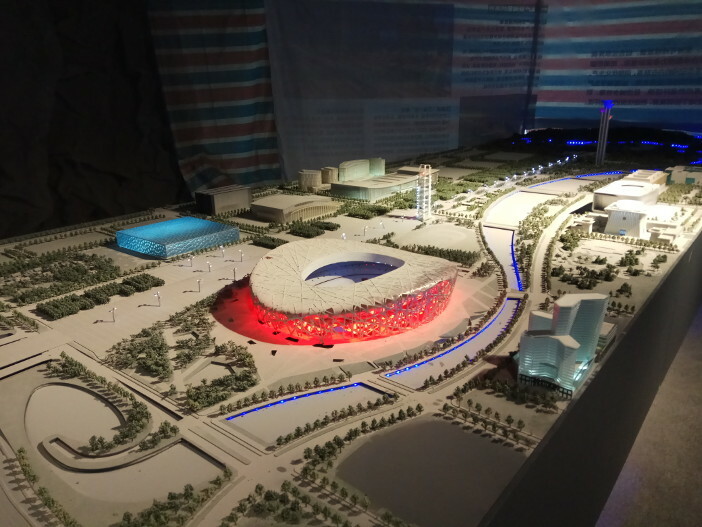 The Beijing Planning Museum might seem an odd addition to that list, but we’d heard good things about it, and we were determined to get there at some point. Finding ourselves at a loose end downtown due to a little mix up over the kick-off time of a football match, we decided to seize the opportunity. The Museum (properly the Beijing Planning Exhibition Hall) is most easily reached from Qianmen station on line 2. Don’t make the mistake we did, of traveling to Tian’anmen and then getting stuck among crowds and security barriers. It’s free to enter with ID; strictly speaking you should bring your passport, but they were happy to accept a photograph of the relevant page on my wife’s phone. The displays about the history of the city are mostly in Chinese, with some English, but that’s not the real draw. The appeal for kids is the scale models. On the second floor, there are models of the Forbidden City, and the north-south axis running from the Temple of Heaven up to the Olympic Park. But head on up to the third, where a huge model of city centre in 2008 occupies most of the space. 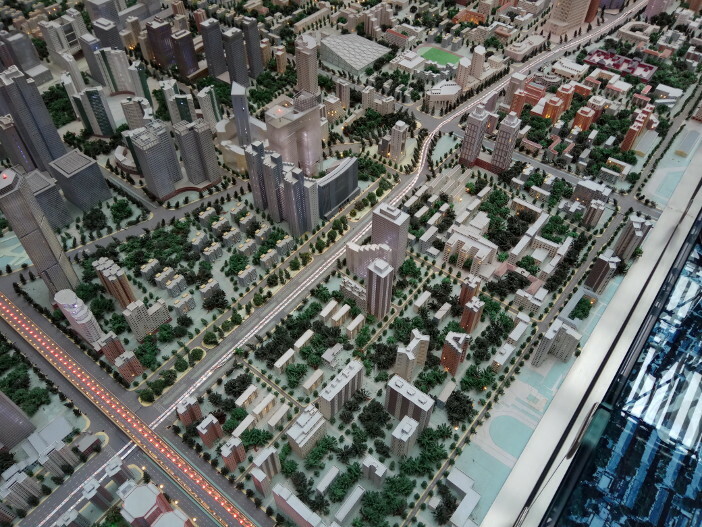 We’ve never lived centrally enough to see our home in the model itself, but the flooring around it continues with satellite photos, so we could at least follow the road east from Sanlitun to our old apartment in Yaojiayuan. Our current home in Shunyi is so far out that it lies beyond the wall of the exhibition space, and standing at that wall peering at the distant city center brought home just how huge Beijing really is. 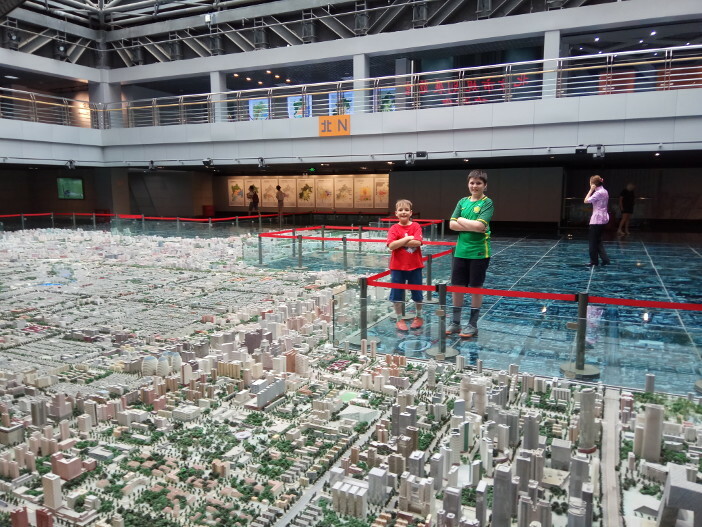 I also tried to find the beijingkids office, but had to conclude our building must have sprung up since 2008, as there was no sign of it on the model. It turned out though that leaving this experience till the end of our time in Beijing was the right move, as we had lots of fun going round pointing out and identifying places we’ve been to. My wife and I were also charmed (the kids less so) by some footage of Beijing in the 1980s which was being shown in a side room, particularly the wide roads with virtually no traffic. 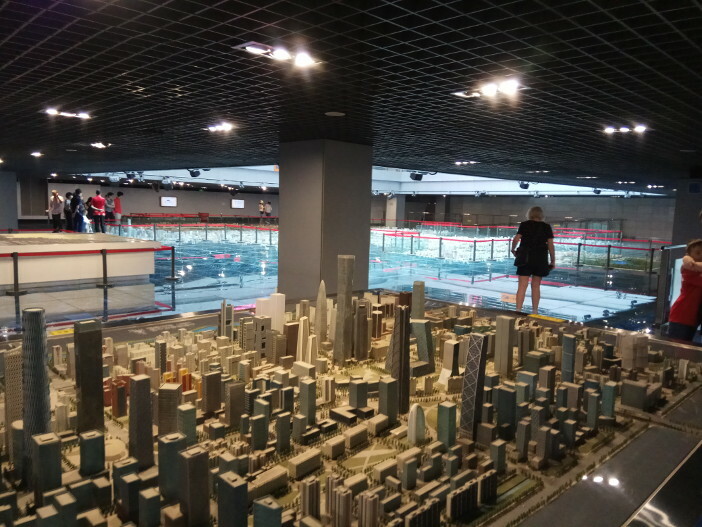 It’s worth heading up to the fourth floor, for a panoramic view of the model, and a display of Beijing transport through the ages, including some model cars and engines which would please any kid who loves their Hot Wheels or train set. Overall though, as with most museums, it’s best to keep kids moving along so they don’t get bored. You can expect to see all the museum has to offer inside an hour, but it’s time well spent, especially if you want to reminisce about your time in Beijing without traveling around the whole city.